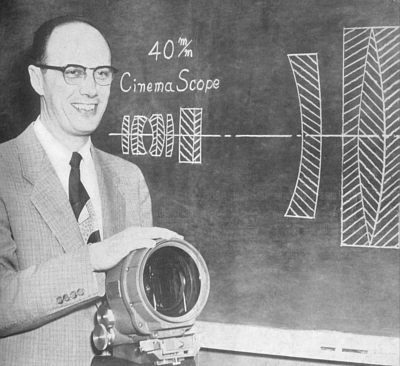 Shown against a blackboard diagram of a new 40mm CinemaScope camera lens is John D. Hayes, head of the photographic department of Bausch & Lomb Optical Co. He holds the first of the new CinemaScope lenses, shipped recently to 20th Century-Fox. The complex 12 element lens was developed under Hayes' direction. The 40mm lens is first of a complete range of focal lengths up to 152mm now under development. Its attributes include improved resolving power, much less distortion, enhanced definition and improved color correction. Curator's Note: The lens being fondled by Mr. Hayes is a 50mm CinemaScope combo rig, not a 40mm as is described. You just can't trust anyone, can you? The next step in the evolution of CinemaScope was the development by Bausch & Lomb of the "combination" lens. These lenses eliminated the use of a separate adapter and prime camera lens, allowing for improved optical characteristics as well as making lens focusing simpler. 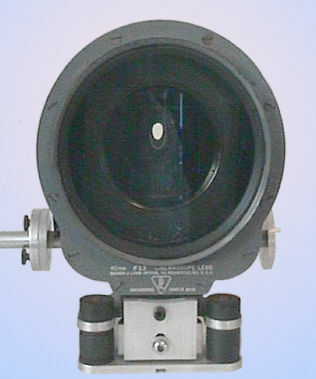 This lens below, from the WideScreen Museum optics collection, is a 40mm model adapted with a special low vibration mount. 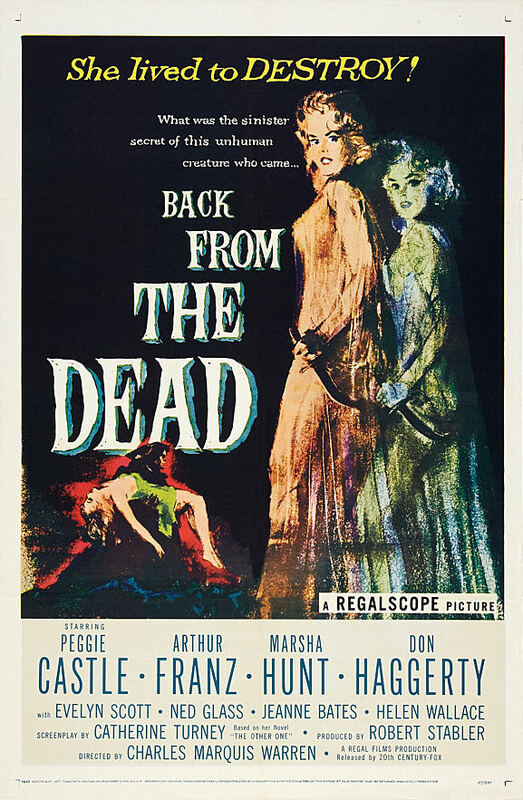 It dates from the developmental period in 1954 and saw use on many productions at Fox and later at Warner Bros. The Bausch & Lomb lenses had iris and focus knobs on both sides of the lens, making life easier for camera assistants. On both sides of this lens can be seen the focus puller's hand written scales mounted around the engraved scales. The hand written scales allowed markings to be made at specific distances required for a particular shot. 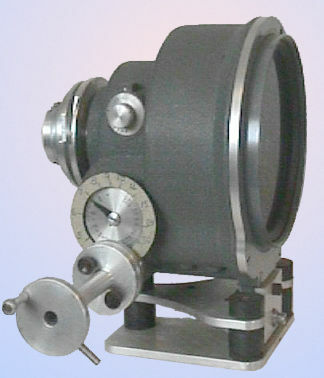 The front element is 8 inches in diameter and the lens weighs approximately 10 pounds. 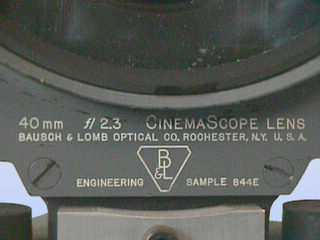 Bausch & Lomb 40mm CinemaScope combination lens from the museum collection. The lens has been modified with a special anti-vibration mount. Left: Poster for The Egyptian. Right: three quarter page newspaper ad, announcing the first film to use the redesigned B&L CinemaScope lenses. Below: Detail from the ad. 20th Century-Fox obviously thought that the public would like to know that the process had been improved. They continued to use Cinerama-style graphics to show the viewer involvement in CinemaScope films. Seen below is a newspaper article from The Egyptian press book, designed for theatres to "plant". 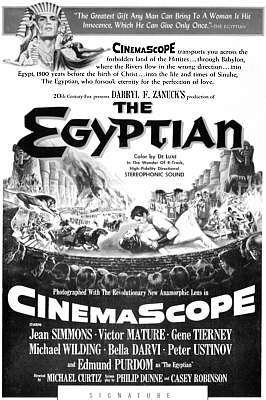 Darryl F. Zanuck's "The Egyptian," which brings to vivid cinematic life the turbulent drama of ancient Egypt, is the first important motion picture conceived along spectacular lines to reveal the breathtaking results of CinemaScope's advancing techniques. In a little more than a year since CinemaScope was introduced with "The Robe" and revolutionized the standards of the motion picture industry added values have been brought to the anamorphic wide-screen process. The optical firm of Bausch and Lomb improved on the original lenses of Professor Henri Chrétien, inventor of the anamorphic process, and developed a series of camera lenses that give CinemaScope greater flexibility, range and depth. These newly-perfected lenses were used to photograph "The Egyptian" and they gave to the production a greater clarity of image and a new sense of intensified audience participation than had heretofore been achieved. They opened up new vistas of entertainment for the public with better relative definition over the entire surface of the large screen. With the new lenses the cinematographer has greater maneuverability for his cameras to give finer pictorial qualities and the director wider latitude in which to achieve added dramatic values. 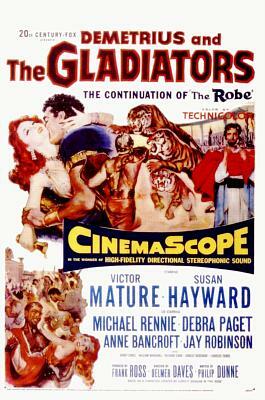 CinemaScope, which achieved instant public acceptance when it was introduced, now gives greater entertainment values. In addition to "The Egyptian," many other top attractions will come from Twentieth Century-Fox in the months ahead, all reflecting the advancing techniques of CinemaScope. Among them are "Woman's World," with an all-star cast including Clifton Webb, June Allyson Cornel Wilde, Fred MacMurray, Lauren Bacall, Van Heflin, and Arlene Dahl; Oscar Hammerstein's Broadway hit, "Carmen Jones"; Marlon Brando as Napoleon and Jean Simmons in "Desiree," also starring Merle Oberon and Michael Rennie. Also, Irving Berlin's "There's No Business Like Show Business," the most costly musical of all time, starring Ethel Merman, Donald O'Connor, Marilyn Monroe, Dan Dailey, Johnnie Ray and Mitzi Gaynor, "Black Widow," starring Ginger Rogers, Gene Tierney, Van Heflin and George Raft; Tyrone Power and Susan Hayward in "Untamed," filmed in South Africa, and Kirk Douglas and Bella Darvi in "The Racers." Also, Richard Burton as Edwin Booth in "Prince of Players", James Stewart and Jane Russell in "Jewel of Bengal", Fred Astaire and Leslie Caron in a new musical version of "Daddy Long Legs", Marilyn Monroe in "The Seven-Year Itch", Sheree North in "Pink Tights"; Rodgers and Hammerstein's "The King And I"; Cole Porter's and Abe Burrows' sensational Broadway musical success, "Can-Can", "A Many Splendoured Thing," and Fulton Oursler's "The Greatest Story Ever Told." The policy of Twentieth Century-Fox will be to maintain and constantly improve the medium of CinemaScope, so that it will remain the undisputed leader in motion picture entertainment. Such is the credo of the film company's president Spyros P. Skouras. 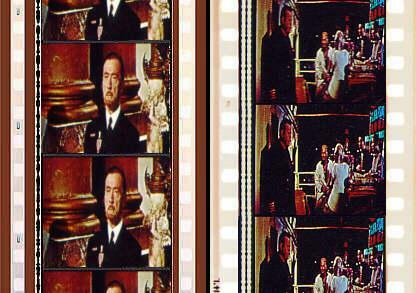 It's interesting to note that a few of the films planned for early CinemaScope release were delayed and ended up being made with other systems: Can-Can was filmed in Todd-AO, The King and I was done in CinemaScope 55, and The Greatest Story Ever Told was released by United Artists in Ultra Panavision 70.
from The Egyptian souvenir program. One of hundreds of different promotional posters created for theatres to promote CinemaScope. 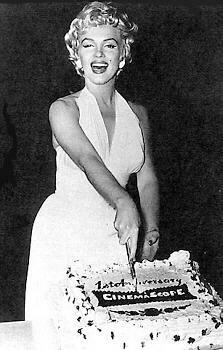 Marilyn cuts one for Skouras and Zanuck on the first anniversary of CinemaScope. 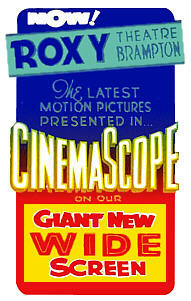 Fox kept up their barrage of CinemaScope promotions to theatre owners through 1955. By 1956 any theatre of consequence had installed the system, though many opted to not add the four channel stereophonic sound. and Stephen Boyd. Right, Ferry To Hong Kong, a very forgettable Orson Wells vehicle. Through 1952 - 1953 the major studios had believed that multi-channel stereophonic sound would become a standard that would replace optical mono. Theatre operators resisted the heavy expenditures for the new sound systems and lobbied for the availability of optical sound on CinemaScope films. 20th Century Fox balked at the use of optical sound with CinemaScope but other studios came up with a combination "Magoptical" print that carried a half width mono track in addition to the four magnetic sound tracks. Fox finally relented and adopted the magoptical sound track as well. The addition of the optical sound track reduced the width of the image and an aspect ratio of 2.35:1 was adopted for all but magnetic only films. Eventually standard mono sound became the norm with stereo being run by major first run theatres. Without the magnetic tracks on the film it was not necessary to use the smaller "Fox Hole" sprocket holes. From 1954 through 1957 many M-G-M, Paramount, Universal, and Warner Bros. film used Perspecta optical directional sound, (it's an out and out lie to call it stereophonic). See the VistaVision wing and the Technical Library section for substantial information on Perspecta Sound. At right: 20th Century-Fox policy on advertising of CinemaScope's sound system after they caved in to theatre owners to make their films available with mono sound tracks. This was before the advent of the magoptical combination track. Policy information taken from the studio press book for Demitrius and the Gladiators. Fox relaxed their restrictions on the use of CinemaScope in black & white films. This gave producers more creative control of their works. 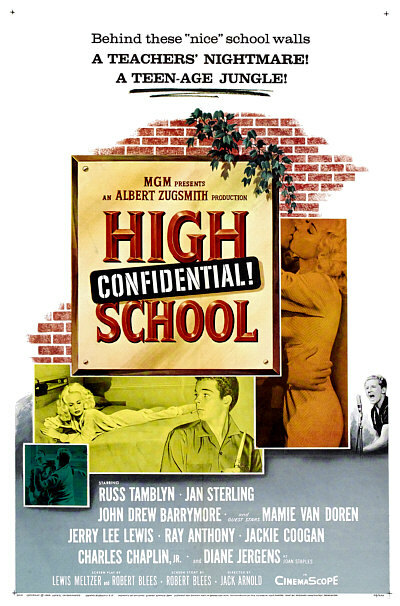 Here is an example of the best of the best black & white films done in CinemaScope, MGM's presentation of producer Albert Zugsmith's monumental High School Confidential. Check out that cast. Never did MGM's motto of "More stars than in the universe" have more meaning. Just kidding, this is a piece of crap. It is most important that exhibitors advertise correctly and honestly the type of sound being used. Today, with so much attention being directed to high-fidelity sound by television and radio set manufacturers and recording companies, the public is well informed on different types of sound recording. Any misleading statements about sound in theatre advertising might bring severe criticism from those who insist on truth and honesty in advertising. If your theatre is not yet equipped to show CinemaScope pictures in genuine 4-Track, High-Fidelity Magnetic Stereophonic Sound, you must be sure to change the ads in this Campaign Book, eliminating all reference to 4-Track Stereophonic Sound. Theatres using 1-Track Magnetic Sound should use the phrase: IN HIGH-FIDELITY MAGNETIC SOUND. Theatres using 1-Track Optical Sound should make no reference whatsoever to the sound system being employed. The publicity stories in this Campaign Book do not refer to sound in any way. If you are showing the picture with 4-Track Stereophonic Sound, insert an appropriate phrase into the body of each story used. Similarly, if you are showing the picture with 1-Track Magnetic Sound, an appropriate reference can be made. But do not add any material on sound where the picture is to be shown with 1-Track Optical Sound. Until 1959, Fox reserved the CinemaScope name only for "A" budget films, which were substantially all in Color by DeLuxe. Starting in 1957, what might be classed as "A-" films would sometimes be photographed in black & white. They might be "B" quality but Fox didn't treat them that way. Genuine low budget, or "B" films, did not carry a Fox banner. Instead they were produced for Fox by Regal Films and while the lenses were still the same Bausch & Lomb CinemaScope optics, the process was labeled Regalscope. Ultimately the company released a number of prestige films in CinemaScope and black & white, including The Diary of Anne Frank, The Longest Day, and Sink the Bismark!. Any film starring Peggy Castle couldn't be considered anything less that a class A attraction. That is the unanimous opinion of the staff and management of The American WideScreen Museum. The Curator admits a weakness for the pretty women, and no actress in the film industry ever carried the combination of beauty and dignity better than Olivia deHavilland. Seen here is Olivia and John Forsythe in The Ambassador's Daughter, produced independently in Paris in 1956. The image is taken directly from a yummy Technicolor dye transfer print.